Providing an overview and a wealth of documentation, this title sheds light on one of Europe's most troubling episodes: the murder of thousands of unarmed Protestants by Catholic soldiers and civilians. The Saint Bartholomew's Day Massacre is one of the most notorious episodes in the civil and religious wars in France in the last half of the sixteenth century. The events raise troubling questions about the relationship between religion and politics, the moral responsibility of secular and religious authorities, and the origins and consequences of religious persecution and intolerance.The documents include 'official' sources such as royal edicts and magistrates' reports, but also popular songs, polemics, and selections from memoirs and other eye-witness accounts and visual documents. 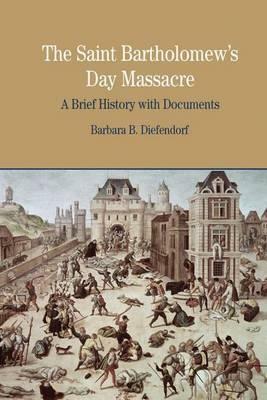 This volume begins with an overview of the context, course and aftermath of the St. Bartholomew's Day Massacre. The documents in Part Two include 'official' sources such as royal edits and magistrates' reports, but also popular songs, polemics, and selections from memoirs and other eye-witness accounts and visual documents. BARBARA B. DIEFENDORF is Professor of History at Boston University, USA.